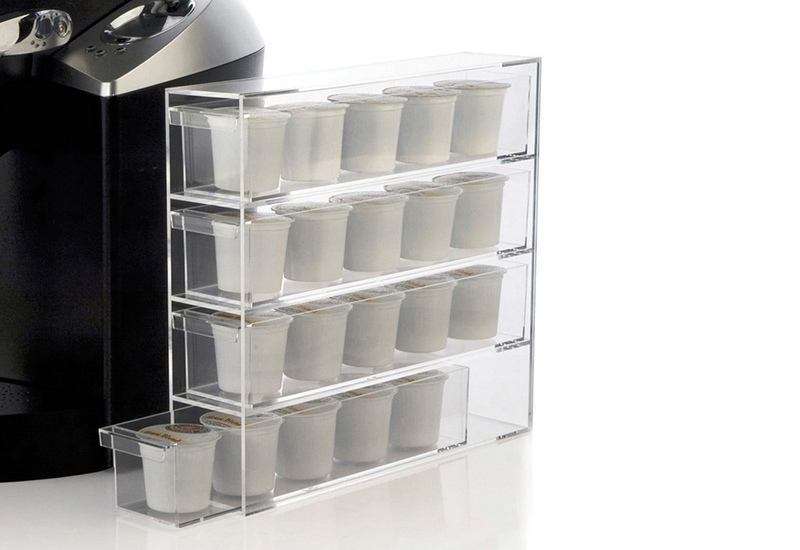 Clean up your coffee area with the strong, durable Acrylic Coffee Pod Holder. It has four drawers to neatly store and organize up to 20 coffee pods and K-Cups. This clever container can store pods horizontally or vertically by changing the position of the drawers. When the pods are stored horizontally, you can even place your coffee maker on top of the holder to save counter space. Transparent drawers allow you to see the flavors on hand, and when it’s time to restock. Clear design blends with any kitchen or office decor. 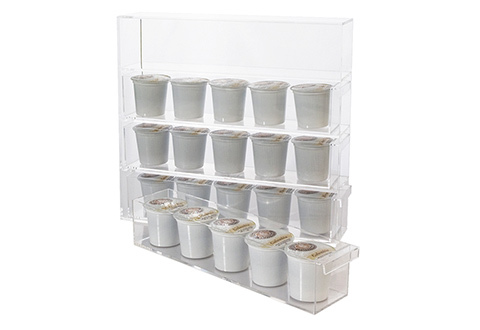 Store and display up to 20 coffee pods with crystal clear acrylic! 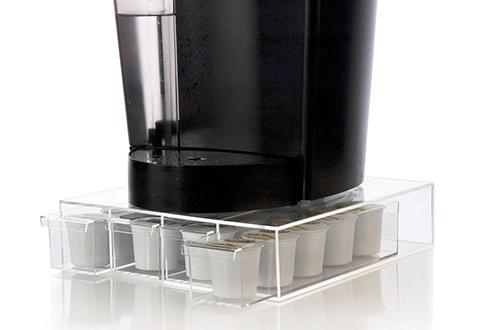 The Acrylic Coffee Pod Holder makes it easy to see exactly what flavors you have on hand.